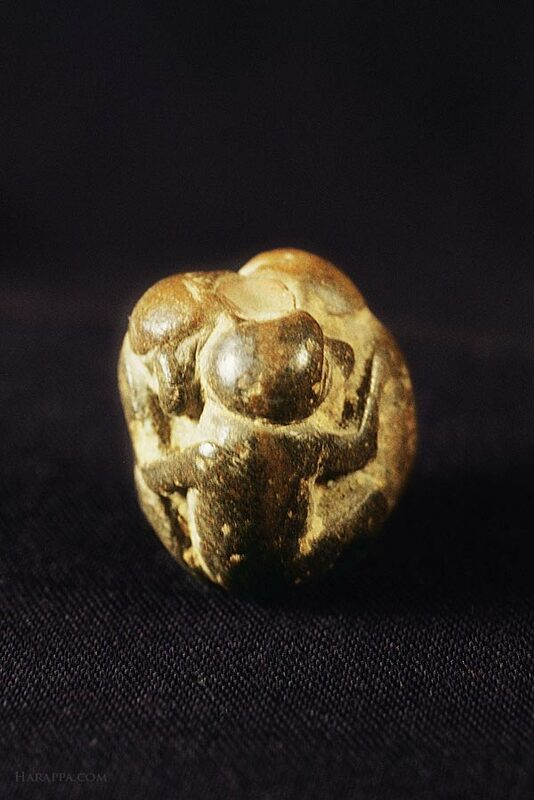 Triple monkey figurine amulet with hole in center. This miniature carved faience bead or pin ornament shows three monkeys in tight embrace with amused expressions on their faces. Possibly placed on a stick or cord. Possibly molded and carved. Dimensions: 1.6 cm height, 1.4 cm dia.